Enjoy Endless Jungle Cat Run Game for Kids & Adults. Cats with Unlimited Lives. This cat running game has different exciting levels with challenging obstacles. Swipe up to Jump, Swipe back to Slide and Dodge to avoid stones. 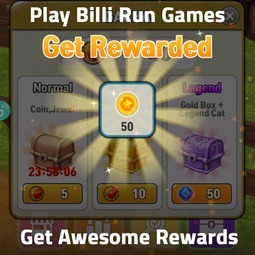 Bill Run is new 3D jungle run game for Android.